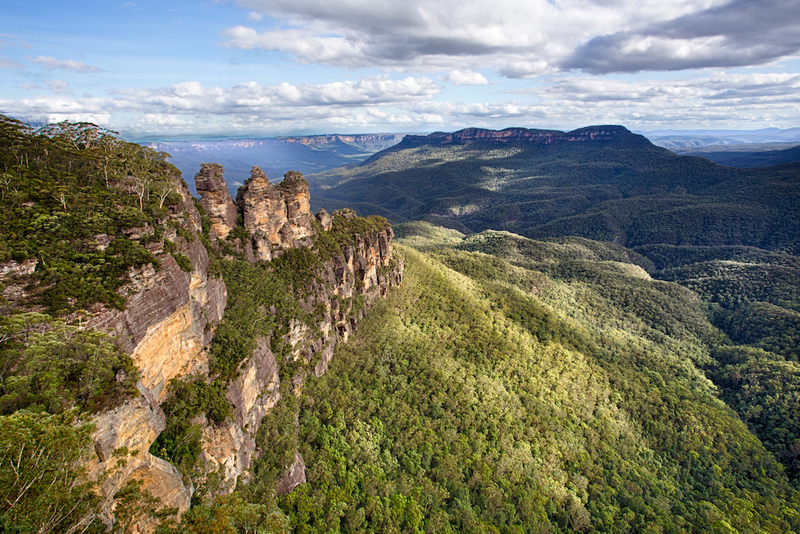 Explore the Three Sisters Blue Mountains in New South Wales, Australia. Welcome to Australia! 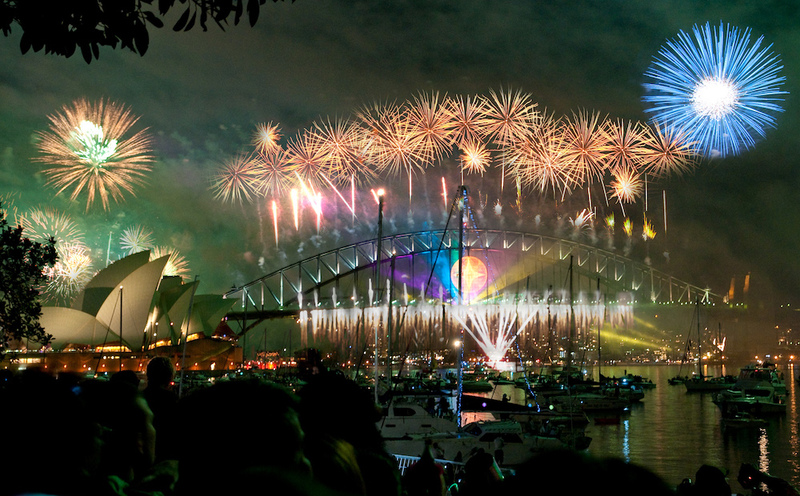 You will already have a voucher from us covering your transportation from the airport in Sydney to the funky Wake Up! hostel on Pitt Street right in the center of town. You’ll probably be pretty jetlagged but we recommend staying active and visiting Paddy’s Market, strolling the Botanic Gardens, or having lunch at Darling Harbor. Take in spectacular views with the Sydney Opera House as a backdrop! Your orientation session will cover the where to go and what to do in Australia, as well as banking, working, living, and traveling in Oz. In the evening get ready for a big night out with the group on your pub crawl! Day 3: Explore Sydney with the Hop on-hop off Harbour Cruise Pass! Sydney Harbour Explorer Hop on–Hop off Cruise. Take your time exploring Sydney with this 48-hour, self-guided pass that allows you to stop and disembark at special sites, then hop back on when you're ready to move on to the next spot! You can continue to use the pass for the following two days, so be sure to take advantage. 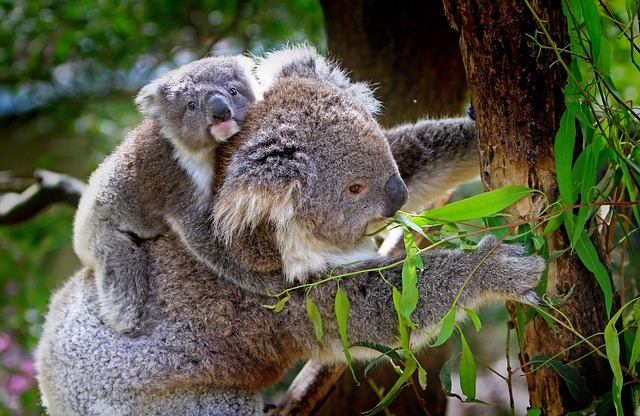 See koalas and other unique wildlife up close. See some of Sydney's best: Darling Harbour, the Botanical Gardens and Chinese Gardens, and Harbour Bridge on a guided walking tour. Get great views and good tips from locals on how to enjoy the city like a local. Optional: catch the ferry to Manly Beach for $2.50. Don't forget to use your Harbour Cruise pass! A trip to Sydney isn't complete without a visit to the beautiful Blue Mountains, famous for exhilarating bushwalks and giant waterfalls. You'll learn about the culture and history of the region from expert guides, while exploring the famous national park. Start the day climbing the Sydney Harbour Bridge to the Pylon Lookout and check out the exhibits on the way up. Attend a job search seminar for tips on finding work, resumes, cover letters, interviews, and finding specific types of jobs. Join the travel information session going over the highlights of Australia, how to get around and other tips for planning your excursions. Relax on Bondi Beach in Sydney, Australia. Enjoy one of nicest stretches of coastline in Australia on the Bondi coastal walk. 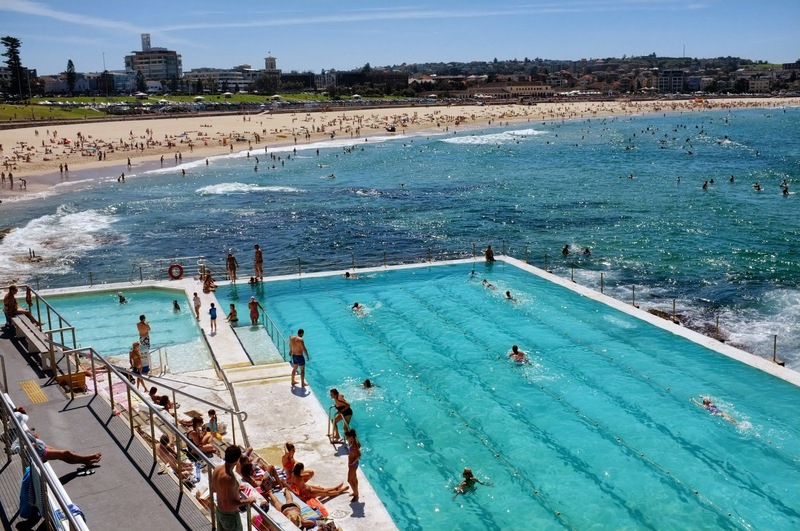 Be sure to wear your favorite "budgy smugglers" out to the world-famous and fabulous Bondi Beach! Take a dip in the ocean, catch some rays, and eat up with the most classic of Aussie meals: the barbecue! The activity week has ended but your adventure will be just beginning! Consult the jobs team about finding work and enjoy your working holiday! Don't see the start date you're looking for? It's all good! You can arrive on just about any date through the year on our standard program and we'll suggest other welcome activities you can join. If you're open to Melbourne, you can also check out our Melbourne Welcome Week start dates.